COST RECOVERY BILLING SYSTEM A WIN-WIN FOR TENANTS AND LANDLORD. West Edmonton Mall tenants benefit from accurate utility usage data and the landlord from a utility cost recovery billing system. West Edmonton Mall needed a way to accurately bill all tenants for their individual utility consumption. Tenant billing was generated manually from the accounting department based on individual meter readings from mall electricians. This required too many hours spent reading meters and generating billings; created errors due to manual reading and data entry; and did not allow meter failures to be detected on a timely basis. Finding a solution became imperative when mall ownership decided to implement a cost recovery strategy for tenants utility usage. As they utilized property management software system, any meter management system and resulting usage data would need to offer easy integration. QMC could deliver a metering solution that seamlessly integrated with their property management system so West Edmonton Mall ownership felt confident in the solution. It allowed for an all-in-one bill for tenants, including their electricity, water, and/or gas usage. In addition, the total cost of the solution was a deciding factor. Typically data would be transmitted over hard wired communication; cabling a property the size of West Edmonton Mall would be cost prohibitive. QMC’s utility submeter solution allows meter data to be transmitted over the existing power lines using power line carrier communications. The project began with the implementation of electrical meters for every tenant resulting in a meter system of 500+ meter points. Subsequently, water and gas meters were added for high usage tenants such as restaurants and food court for an additional 200+ meter points managed by QMC. In January 2011, West Edmonton Mall began billing tenants for their electrical, meter and gas consumption. The project continues: more new meter installations to meet the tenant’s various needs, plus regular upgrading and recertifying of meters. As part of the QMC service package, a technician makes monthly site visits to work with the client’s building operations team to assess new meter requirements and make continuous improvements to the metering solution. West Edmonton Mall is North America’s largest indoor mall and at over 5.3 million square feet, it is the size of a city. 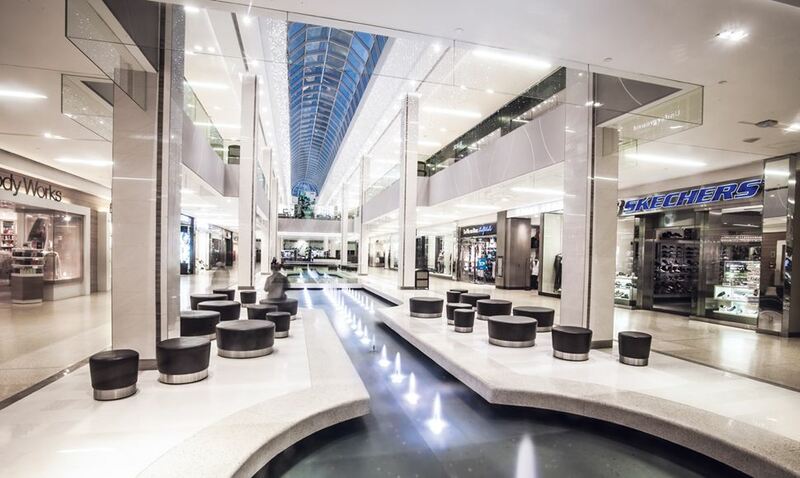 Known as one of Canada’s premier destination entertainment and shopping malls with over 800 stores and services, nine attractions, two hotels, 100+ dining venues; serving almost 31 million visitors annually. West Edmonton Mall opened in the early 1980’s and tripled in size by the end of the 90’s. Owned by Triple Five Worldwide Group of Companies, an international developer, and operator of real estate and other business interests.